A couple of weeks ago I put a little Instagram up (come follow me!) asking for suggestions as I was looking for a colour similar the the Revlon Ultra HD in Addiction and oh boy did you guys come through with the goods! Now it’s not that I don’t love the Revlon offering – I really love it however it does transfer which when you’re considering the shade for your wedding day it’s not a characteristic that is particularly welcomed. Despite the various lip-setting fancy things you can by these days I decided to hunt down a similar colour from a different brand to save the hassle. Alot of you had suggested the Stila Stay All Day Liquid Lipsticks because the formulation is ace. There was a few different colours I was looking at however I settled for trying out Aria (second from top) and Bacca (third down). Aria is a little more purple toned but lighter than Bacca so I thought I’d try them both out (#justifications). I had the best customer service experience in Mecca Cosmetica and I think it is worth chatting about because often stores do cop flack because of negative experiences. We were helped but not pushed and when checking out the girl signed me up to the loyalty program. I love that they were not overbearing but still really kind and never once did I feel like I was being watched. The last colour I’ve decided to try out is the Kat Von D Everlasting Lipstick in Bauhau5. It is probably slightly too raspberry pink then I wanted but on the lips everything always looks different so I’m happy to try out the formulation and see how it goes. Whilst in Sephora I was made to feel really awkward by shop assistants who were restocking the Kat Von D stand. At one point I actually had to just reach over the worker to get what I wanted and she pretty ignored the fact I was a shopper. I understand that things need to restocked however there was no question if I need a hand or apologies when I physically had to reach over her to get to the item I wanted to purchase. Sure there are going to be teething issues with the store but it does make me more inclined to visit Mecca over Sephora next time. Whilst instore I also sniffed the Tom Ford Noir and Noir Velvet Perfumes and I cannot decide between the two for my wedding day! They’re both equally as beautiful – who has a favourite? Do you have any favourite formulations for liquid lipsticks that I must test? I’ve found mecca’s service to be a hit and miss. I’ve had great friendly services, and other times i’ve been ignored. Sephora syd on the other hand is impossible to hail down a customer rep on the ground floor it’s always bumper to bumper crazy busy! It’s crazy. Hopefully as it settles down and more open it’ll be better. I guess it’s like anywhere RE Mecca service… Sometimes you’ll have good day and others not so much! It’s such a shame when you don’t have a good experience in store, I generally find everyone at Mecca to be really lovely and helpful, and not that employees at Sephora aren’t nice, but the Sydney city store is always so packed you have to ask them for help rather than have anyone approach you. I think Sephora in the US is incredible, but for me at home Mecca is the winner. I also think they have a better range of brands and I love that they adjust their pricing based on the exchange rate, etc. I think they do a really good job of making customers feel valued and while Sephora US does that as well, I think Sephora in Australia has some catching up to do. Oh definitely not that the Sephora girls aren’t friendly I just think they’re always swamped and can’t actually serve people on the floor because they have to keep restocking. I can’t wait to visit a US Sephora they sound dreamy. 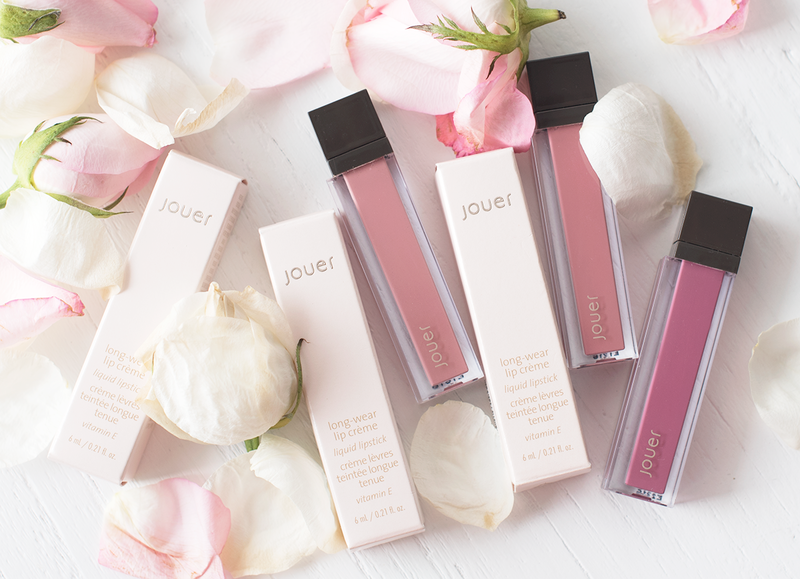 You need to try out Jouer Cosmetics Long Wear Lip Creme Liquid Lipstick! I recently did a review of my 3 colours from the range on my blog (do check it out here: http://www.theskinnyscout.com/2016/10/24/jouer-cosmetics-long-wear-lip-creme-liquid-lipstick/). I personally love OFRA liquid lipsticks the most, they seriously last all day! Btw I also had a few bad experiences at Sephora, and Mecca has always had much better service! Ooo I’ve have to check them out!